Newly opened - Solaire Manila Resort Hotel & Casino is a prime entertainment center in the Metro. It is also formerly known as Bloomberry. Solaire and is a world class integrated resort complex, newly built for tourists and Pinoys alike. The business resort includes a five-star hotel with oozing beautiful cozy 500-room accommodation where world class Pinoy entertainers perform daily. It is said to be the first casino and hotel located in the Entertainment City complex near the Manila airport and bay area of Parañaque City, Philippines particularly in SM Mall of Asia vicinity. 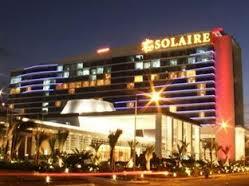 Now being advertised, Solaire opened its door to patrons, visitors and casino players who want to enjoy and have fun. Formally accepted visits last March 16, 2013, If you want to know what to find inside and how to get there, see our map taken from Google Maps for a guide by a taxi commute and by your own car. You may also avail of the free shuttle service in designated pickup and drop off points listed below including schedules of travel. If you are looking for a casino career, you may apply at the HR department. We have posted the complete contact numbers and email address where you can send in your application / resume / bio data to apply for casino jobs. License for this resort was awarded by PAGCOR as well as that for Resorts World Manila which dates back in 2009. You can also check for new and latest promos of Solaire at the official website. If this entertainment center had one of the biggest hotel and casino in Manila, wait till you see the full packed entertainment city's cozy restaurants. Inside is one big fun center. You can apply for job vacancies. This would include hotel and restaurant related positions and cards dealers for the casino entertainment center. Bloomberry resorts will definitely open up for more job hiring. See their official website for more information here - http://www.solaireresort.com/. 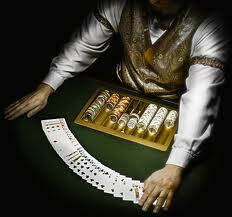 Another worth checking are vacancies related to casino job hiring positions. They have a casino inside just like that of Resorts World Manila. On the other hand, for sure, their hiring opportunities will soon be featured as one of the most wanted POEA jobs. Please note that you may also apply online if you visit their website and pass your resume to their recruitment email address. You can actually find Solaire in the road near Mall of Asia and also near Manila airport terminal. It is best reachable if you have your own car or via a taxi commute because no public utility vehicle passes in the area except for a few in MOA grounds in Macapagal Boulevard where you will have to walk very long hot streets if you come over and visit this Manila resort. On the other hand, please go check our map below for a direction guide on how to get to Solaire Manila. 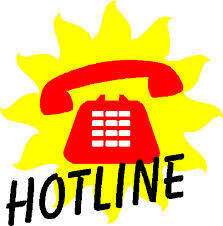 Shuttle service is availabe in pickup and drop off points in Manila. This is a free transportation service to patrons, visitors and guests. Located adjacent to Mall of Asia in Manila’s new Entertainment City, Solaire is conveniently set against the backdrop of the scenic Manila Bay. From Mall of Asia: Take Jose W. Diokno Blvd. South and turn right on Aseana Ave.
From Pasay City: Take Diosdado Macapagal Blvd. South and turn right Aseana Ave.
From Makati: Take EDSA to Diosdado Macapagal Blvd. South, then turn right on Aseana Ave.
Should you need a ride from their shuttle service which is available in selected Metro Manila drop off and pick up locations, please refer to the schedule information below. Solaire is offering daily round-trip shuttle service from select locations in Metro Manila.